It's feeling like ages since I last posted, but it's really only been a couple of weeks. It's been a busy time though, as we were away 2 weekends in a row and then I was working last weekend. All this has really impacted on my sewing time. I don't generally tend to sew at the weekend, but if we're away that impacts on all the other stuff that we do, which then ends up taking priority during the week. I'm all for sewing over housework, but if the boys are coming out the bath dirtier than they went in, then I need to address my priorities! Being away has also impacted on my general social media interaction, as I've just been too busy. But it's good to take a break now and again to spend time with people I actually know. So, I have no sewing related stuff to show you today. I am slowly working on one of my Vintage Pledge items - a chambray shirtdress. I'm not convinced it's going to turn out well though, which really doesn't do well to motivate me to finish it. When I tried it on early in construction, my husband commented that I should be wearing it to work in a sewing factory. And now I can't see past the fact that it does look a bit "uniformy". I have a lovely afternoon of sewing planned on Sunday at The Stitchery, with Jen. Although I'm not finished the shirtdress, I don't want to take that with me. 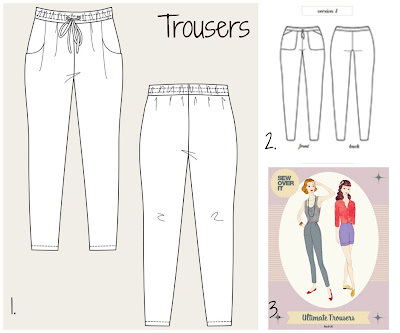 I did plan to take the Named Alexandria trousers to sew, but now I'm swithering over sewing something else entirely. I might print and cut out a couple of options and then I can decide on Sunday morning. Before I returned to work I decided not to buy or make anything specifically because I didn't think I needed anything. I have just spent the past 3 months wondering what the hell I used to wear to work every day. So, I need work clothes. 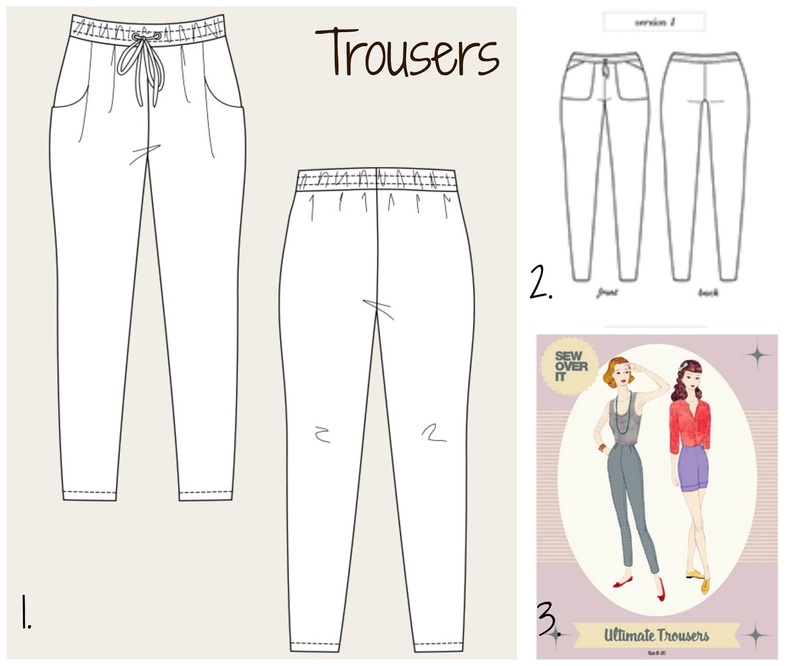 Trousers: I have all 3 of these patterns already, so I just need to decide what to make them in. And then how to wear them. Can the baggy/flowy trouser translate to winter wear? Maybe with an ankle boots? If not, I guess it'll be a couple of more pairs of Ultimate Trousers (#3). 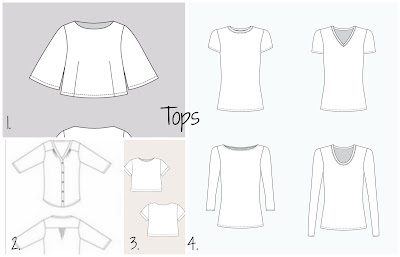 Tops: to go with the trousers. I don't yet own any of these patterns. 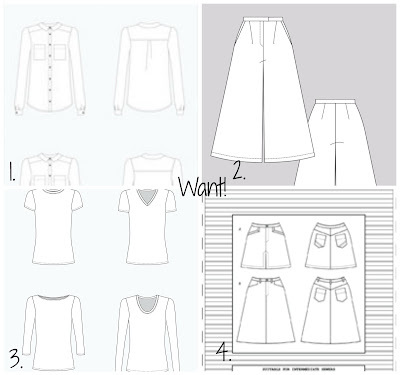 No specific thoughts on fabrics yet, but I do fancy either the Inari (#3) or the Lexi (#1) in scuba. Dresses: I like wearing dresses but I'm not sure what kind I want right now. 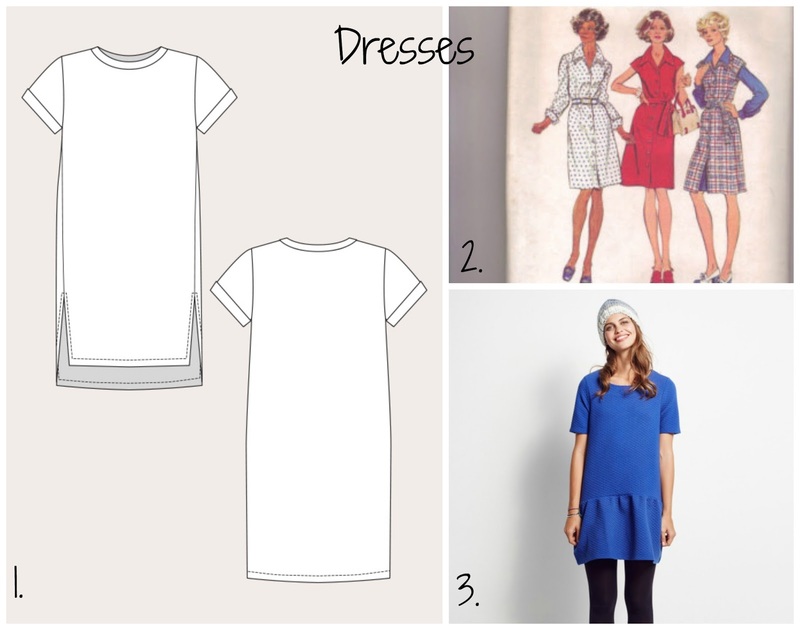 So, I'm detailing my vintage pledge dress in the hope it will turn out alright after all (#2 above). Plus the Inari dress (#1), which I really want to make in a black and white Cotton and Steel rayon in the stash. It's probably not that autumnal, but our office tends to be pretty warm. I also love this RTW by Hush (#3 above) and reckon it would be pretty easy to knock off. #1. A shirt, in either chambray or black/white gingham or both! #2. Culottes - although I'm not convinced by how I will look in them. Possibly with a matching cropped top for Christmas nights out?! #3. All the stripey tees, most probably using the new Lark pattern. #4. A line skirt, in denim, naturally. I love the pocket detail on this pattern. What are your plans for Autumn? And how "deliverable" are they? 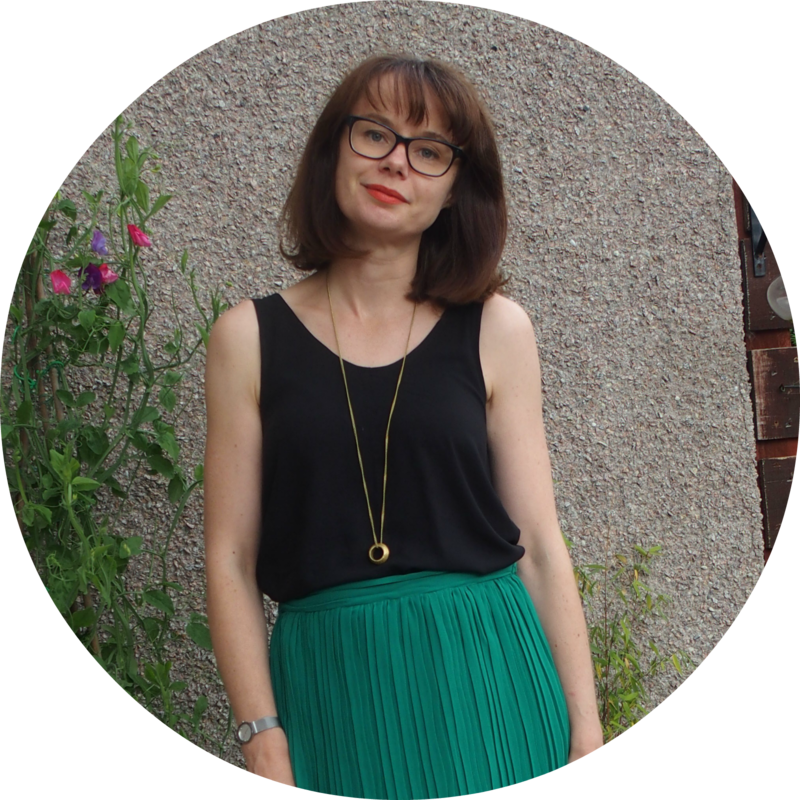 Assuming you read other sewing blogs, you will be familiar with the Made Up Initiative being run by Karen from Did You Make That? and Love Sewing magazine. Karen explains it much more eloquently than I can, but essentially the idea is to raise money for the National Literacy Trust. I have no idea if this is an inherited thing, but my kids LOVE books. Small Boy has had to be forcibly reduced from 3 or 4 books at bedtime to a much more manageable 2 (never set a standard based on lift the flap books with only a couple of dozen words...), and is now super excited that he gets to choose and bring home a book from the school library EVERY. SINGLE. WEEK. He will happily spend time just looking at his books, and he will correct us parents if we dare to do the quick version, or read the wrong word. He is not palmed off with an exasperated "but "said" means the same as "cried"". Pedant. Baby Boy has loved books from birth (exaggeration). I used to have the pram books that he could look at when we were out and about. Unlike Small Boy who just used to eat them, he actually looked at them. He loves opening and closing them and turning the pages, and when he was introduced to the wonder of flap books, well, he was in 7th heaven. Sadly he doesn't have much respect for them so a lot of the flaps are no more, but his love for the books is no less. Especially if they feature dogs or monkeys. After thinking about this, I got to thinking about what my challenge/pledge/whatever should be. Something for one of my boys seemed like an obvious choice. If I'm doing something selfless, why not make it doubly so? The pattern is the Rowan Tee by Titchy Threads. What sold me this one rather than any other kids t-shirt pattern, was the many, many options and the fact that it goes all the way up to age 12, so I don't need to buy it twice. Perfect! The elephant fabric is this one from The Village Haberdashery and it's a lovely stable interlock with around 25% stretch, which was pretty much exactly what the pattern recommended. The ribbing came from Kitschy Coo's actual shop. It's actually not that far from my house, which makes me feel bad about never having been before. Baby Boy was with me and was much taken by Casey, Amanda's dog, who you will be familiar with if you follow her on IG. Casey is much better behaved than Amanda would have you believe. Amanda is also obviously lovely. This was a nice quick sew. Good comprehensive instructions, although there are a lot of them because there are so many options and variations, so you need to identify which bits you need. You insert the sleeves flat which is nice in a knit. They did have a nice trick where they have you press your sleeve and main hems first. You then stitch the shoulders, insert the sleeves flat and sew the underside of the sleeves and side seams as one, before hemming. This means you get that clean hem that comes with hemming in the round, but you avoid the fiddliness of having to measure and press it in the round. Clever. 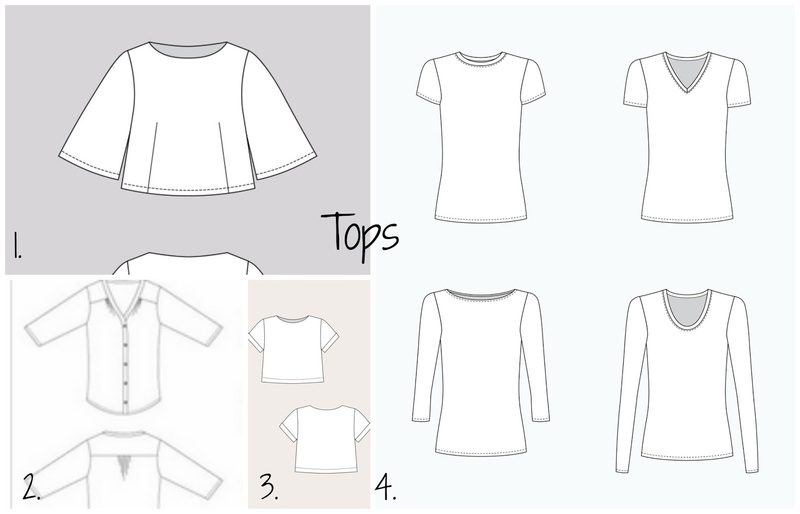 The pattern also offers the ability to print off just the size(s) you need. I'm not going to pretend to understand how this is done, but you just tick the size(s) you want and they are the only ones that print. 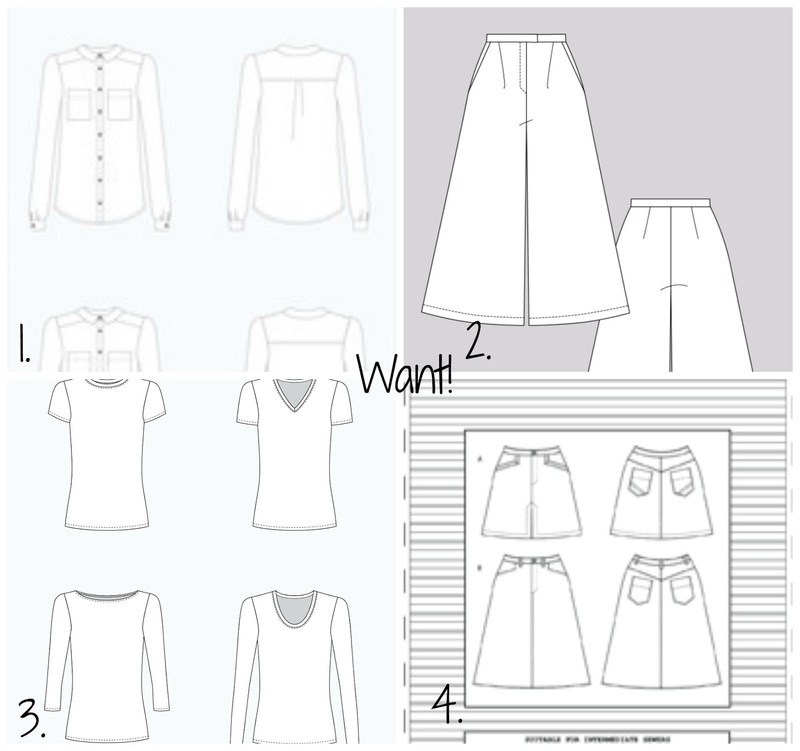 Quite handy, but since I selected one of the smallest sizes, I was obviously left with quite a lot of blank space around the pattern pieces. This would have been no different without this fancy technology, it was just more obvious. The tee was entirely constructed on my sewing machine using my walking foot. I used a lightening stretch stitch for construction and the twin needle for hemming, all without issue. The given SA seems pretty wide for the ribbing, leaving the exposed bit of the ribbing very narrow. For next time I would reduce the SA here. The verdict? I love this tee. I'm very proud of my pattern placement, and I think it looks very professional. Baby Boy couldn't care less, but I did catch him looking at the elephants a couple of times. It's nice that some of them are upside down, so they are right way up when he looks at them. Small Boy was a bit grumpy that he hadn't got one, but grudgingly agreed that the elephants were a bit babyish for a big 5 year old boy. I have promised him a trip to Kitschy Coo to pick out his own fabric. I haven't told him that Mummy has a bit of a queue of her own, though. Given the difficulty I had last time in getting good photos of the kids, this time I just let Baby Boy do his thang, and recorded him in action. Hence lots of pushing the trolley shots. He loves that trolley, but he can't turn it around, so once he gets to a wall or door, he just cries until you turn him around so he can go back again. Or sits down.